Do not miss this Friday as our popular Cottage Friday returns. “Rib Eye Steak & Fiddleheads” for dinner as well as our 2014 patio menu with a new style of mussels & crab cakes! Whatever you spend on food on "Friday the 16th" you will receive a credit of equal value to be redeemed on future Patio Menu purchases made by June 2nd, 2014. New Age of Sail Gala - Thank You! 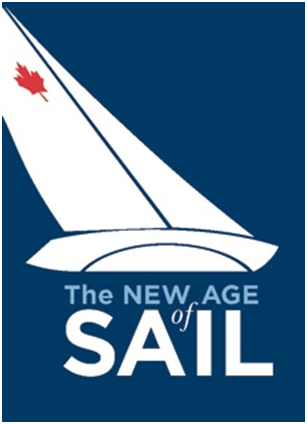 I would like to extend my thanks to everyone involved in making the New Age of Sail Gala Dinner and Canadian Sailing Hall of Fame induction such a complete success. It was a once in a lifetime event attended by the sailors and boat builders that put Canada on the map. I look forward to having KYC host the Hall of Fame events in the future! The exhibit is now open so please help support the Marine Museum and visit. Come out and meet fellow female members. Have a drink &/or order some food from the new menu. Sign-up for Wednesday night sailing. If you can not attend but wish to participate on Wednesday night sails, let us know. The Royal Military College of Canada Yacht Club is hosting Mr. Serge Besner from Environment Canada who has managed the production of Wind, Weather & Waves: a Guide to Maritime Weather in the Great Lakes Region. We are opening this presentation to all of the sailing/boating community in the Kingston area so feel free to distribute accordingly. 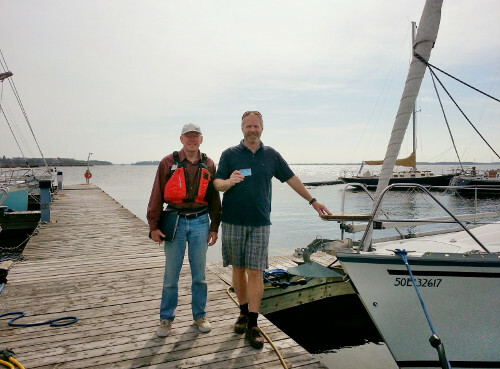 Commodore Chris Walmsley proudly displaying his "Safety Inspection Sticker" courtesy of the local Power & Sail Squadron.